The (virtual) partition in question is 5.7 gigabytes, which is not that large for a working instance of Fedora. The simplest thing would be to increase the size of the partition. Not the answer you're looking for? 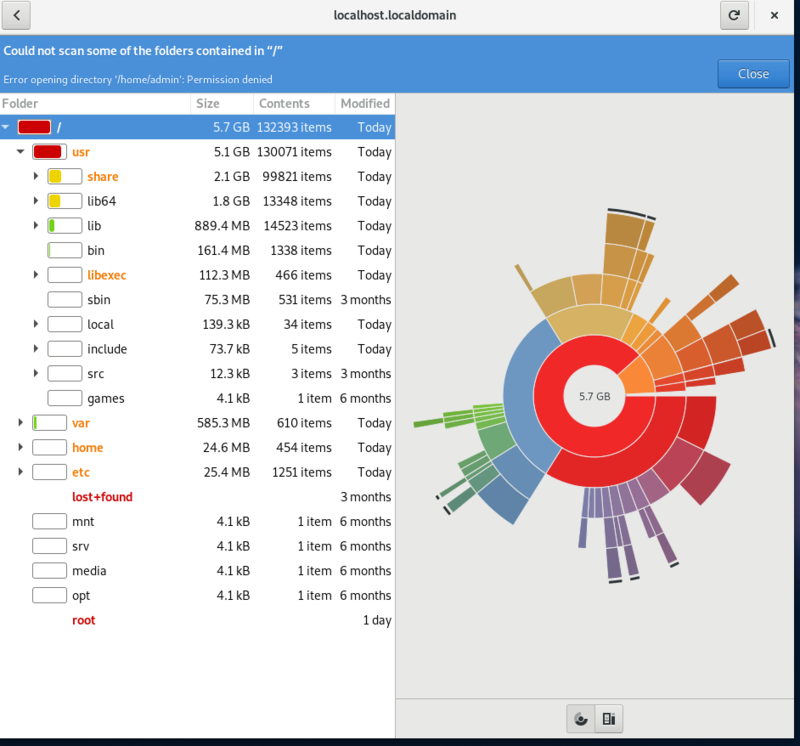 Browse other questions tagged linux partition virtualbox disk-usage or ask your own question.